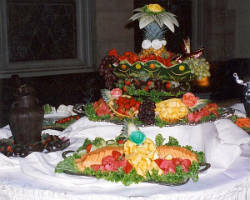 Ladyfingers Catering has been serving events since 2004. The owner began the company as a way to combine her design and decoration skills with her immense cooking abilities. This means that your meal will not only be a delicious creation of this classically trained chef, but it will also be presented beautifully. You will not find a company Oklahoma that is more attentive than this one. They not only care about the food they serve but about your entire dining experience. 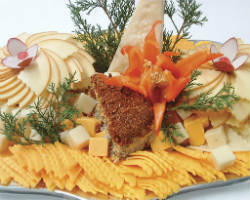 Caterers that put their own spin on classic dishes can be hit or miss. The chefs at SMOKE are on point when they take American classics and add some innovation in the kitchen. 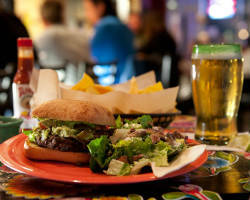 This company has been known to revamp Mexican food and find new ways to serve the classic burger. The delicious meals they serve are mouthwatering and perfect for any event, formal or casual. Their presentation is always unique and always memorable. 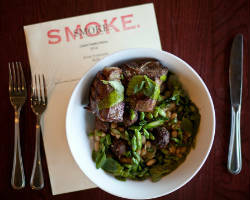 Choose SMOKE for your favorite dishes with a twist. Deciding which catering service to use for your wedding can be difficult when there are so many companies to choose from. Deciding on a small company rather than a large local one can mean sacrificing services and selection. Choosing a company as experienced and as big as PARTYSERVE means you have all of the catering options at your fingertips. They have served formal weddings and casual corporate lunches with great style and class. Choosing this company means picking the top catering company and affordable service. It is clear that there is no shortage of catering services in Tulsa. Couples can find companies who specialize in formal events, ones who offer only lighter dining options and ones that present a more boutique style of catering. Elote Café & Catering is an environmentally friendly local caterer that supports other small businesses in the area by buying locally as well. For a relatively cheap price, you and your guests can dine on local, fresh meals on your wedding day. 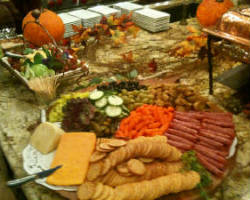 Finding the right catering in Tulsa, OK can make or break your event. You want the food to come out on time, you want it to be hot and fresh and you want everyone to enjoy it. Just Catering by Orr will make your event even more memorable. 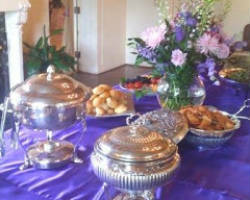 They specialize in catering large and formal events like your wedding. Having a one-on-one consultation with the owner and head chef will ensure you are getting a meal that matches your style and tastes and at a price you can afford. You wedding dinner doesn’t have to be limited to Italian catering or overcooked buffets. You can opt for a more exciting local caterer that is constantly coming up with new and fresh menu ideas. Catering Connection prides itself on being able to accommodate any taste. They can prepare a formal meal or a down to earth crawfish BBQ. They have mastered the art of serving a large group of people as well as serving smaller intimate affairs. Their dishes are always beautiful, and always of restaurant quality. 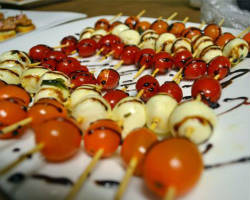 Catering can be simply serving food or it can be a form of art. 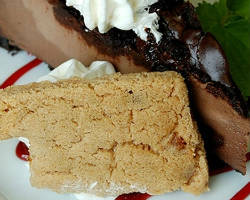 When you choose The Cheesecake Lady Catering Co. you will have fine culinary dining and artistry. The innovations of this team are always a hit at any event. Work with the company to come up with options that you love and they will make the dishes come to life on the menu. There are countless Tulsa catering services available to serve weddings, but if you want the very best company with serious style, then choosing this one is a must. While some wedding catering companies in Tulsa focus solely on service and some on quality, Ludger’s Catering achieves both incomparable friendly service and the most delicious food. This company also has a great bar staff for your event too. With over 30 years of collected experience, this company has truly perfected their service techniques. They work to exceed any expectations you may have had by working to ensure you can enjoy the day while they take care of the details.